TALKEETNA — Holly Sheldon tapped the brakes as the Sheldon Air Service van rounded a bend near downtown. A herd of cruise-ship passengers emerged from a small parking lot where upward of 10 buses regularly disgorge visitors onto the shoulder of a road with no sidewalk. 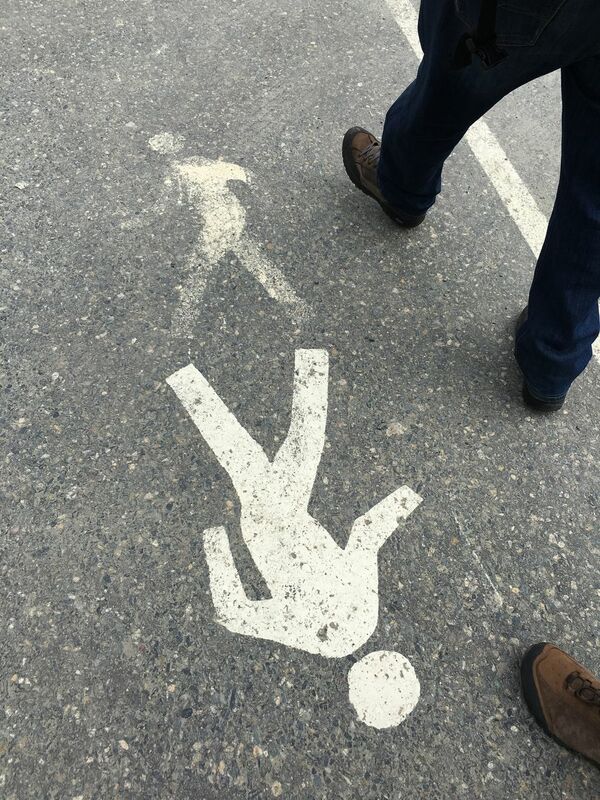 Clumps of oblivious tourists crossed without looking around. Others snaked along the far side of the two-lane blacktop, ogling gift shops and river tours. Sheldon rolled to a stop and sighed. "This is called industrial tourism," she said. Sheldon and some others say the estimated 300,000 summer tourists converging on Talkeetna this year are taking over, thronging the main road with people and buses, overwhelming scarce restrooms and already-taxed utilities, and eroding the charm that made the funky mountain hamlet in the shadow of Denali so attractive in the first place. Different factions here are looking at everything from hand-painting a crosswalk to seceding from the Matanuska-Susitna Borough in an increasingly desperate search for solutions to the summer tourism that's maxed out Talkeetna's capacity to handle it. 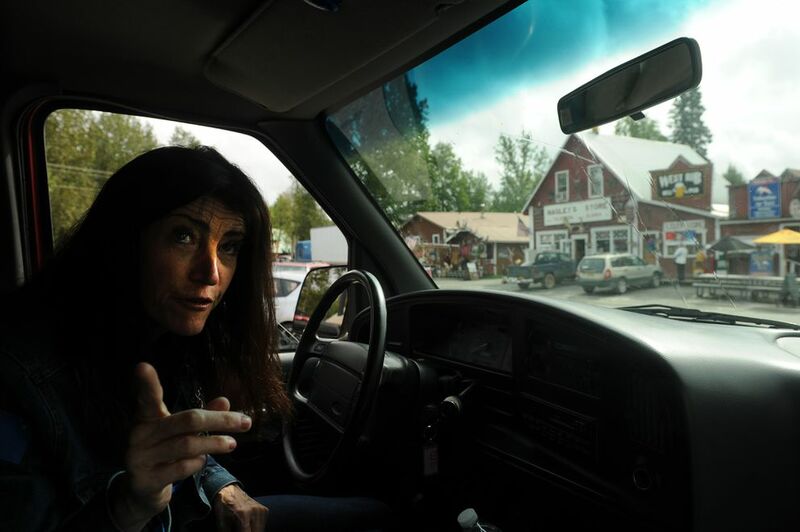 Sheldon grew up in a quieter Talkeetna as the daughter of Don Sheldon, famed Alaska bush pilot, and Roberta Sheldon, a passionate local activist known for her work on historical preservation and land use. The community of 700 year-round residents has, since the late 1990s, served as a major stopover for passengers on the big cruise lines coming and going from Denali National Park. Long-time residents say this summer's crowds are like nothing they've seen. They use words like "carnival" and "overrun." Not everyone thinks that's a bad thing. There are business owners in town who embrace the captive travelers deposited on their doorsteps, in need of a beer to drink or a river to float. But even some residents who make a living from these crowds say something needs to change. "Nothing is new, necessarily. It's just that all of a sudden there seems to be a dire need because there are just so many people," said Trisha Costello, who has owned popular downtown restaurant and hotel the Roadhouse since 1996. "I'm surprised nobody's gotten hit by a car yet." 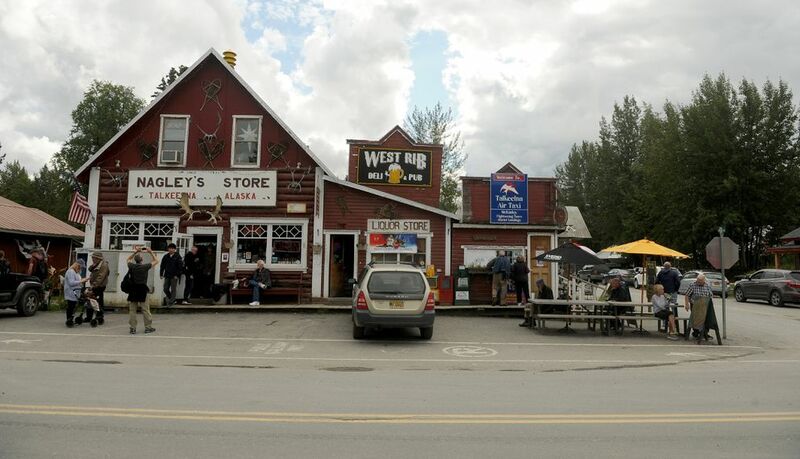 Companies including Princess Cruises, Holland America Line, Royal Caribbean and Norwegian Cruise Line deposit travelers in Talkeetna on a daily basis by bus or shuttle from different lodges in the area. Others come by railroad. All told, the cruise companies unload hundreds of passengers for day visits when the weather's good. The parking lot that fills with cruise ship buses sends up clouds of dust that coat merchandise and food with grit, says Lauren Kane, owner of Frontier Gifts, a gallery and two small restaurants across from the lot. There's no marked crossing to guide tourists safely to the other side of Main Street and into downtown, and no "slow down" sign for traffic that sometimes reaches the clog of tourists at 45 mph. "It's crazy," Kane said, adding she's thought about painting a crosswalk herself. "Sometimes we have as high as 500 people getting off buses at one time. They're walking all over the road. It's not good." Ralph Samuels, a former Alaska state lawmaker who represents Princess and Holland America, said the companies don't generally offer solutions to the kinds of issues cropping up in Talkeetna, but instead work with community councils or other local groups. Samuels said he knew about concerns with the water-sewer system but not the dusty parking lot, which actually belongs to jet boat tour operator Mahay's. The companies are open to working with the community on suggestions to resolve concerns, Samuels said. "Sometimes, quite frankly, we don't want to impose what we think might be a solution," he said. About 200 households and businesses pay for the costs of Talkeetna's water-sewer system. But it's the deluge of 100,000-plus tourists every summer — cruise passengers, mountain climbers, independent travelers, Alaskans — that really taxes the utility. The Mat-Su Assembly member representing the area, Randall Kowalke, said the borough is working to bring Talkeetna's aging water and wastewater system back into compliance with state environmental regulations. The water system had a one-time issue with arsenic. The sewage lagoon struggles to limit bacteria. Asked if the cruise companies should be paying their share of the burden on the system, Kowalke said the companies "recognize that pressure." But, he said, he's concerned that requiring Princess or Holland America to pay for services could chase them out of Talkeetna. "If this is all Princess' fault or Holland's fault, does Holland need Talkeetna or does Talkeetna need Holland?" he said. Federal grants could help shore up the system, Kowalke said. He's been attending the community meetings in Talkeetna on the congestion issues, he said. "There's a group that wants it like what it was in the 19-whatevers. Then there's a great deal of pressure (from businesses) that want to see growth." 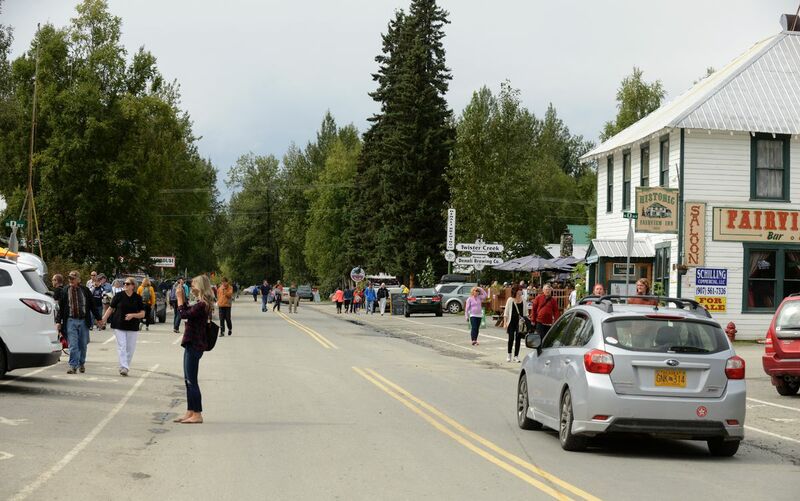 The leading priorities to address in Talkeetna, locals say, include corralling visitors with a crosswalk and designated pedestrian areas, limiting bus traffic and providing more restrooms. There's talk of barring vehicle traffic downtown, though that's more controversial. The Talkeetna Community Council is working with the Matanuska-Susitna Borough and the Alaska Department of Transportation and Public Facilities to suggest traffic changes. The group is working with borough transportation specialist Jessica Smith on traffic planning — the latest in several plans created with various consultants, according to council president Whitney Wolff. All the borough can do is provide technical assistance at this point, Smith said. The tight budget has no money for anything else. "As far as going out there and building something for them, a sidewalk or a crosswalk, right now … nobody knows what's going to happen next because everything is so very, very tight," she said. The community council is also working with the borough to enforce an existing special-use district established in 2003 that regulates road easements but also calls for maintaining the integrity of Talkeetna's historic district amid the village's growing popularity. A committee that formed in April to address Main Street issues is recommending clearer definitions for "temporary" structures in response to public complaints about the proliferation of vendors, according to Laura Wright, who heads up the committee. The group also is recommending a general land-use permit for anyone constructing anything more than 10 square feet in the Main Street town site area to make sure people know about the town and borough regulations — before they build, buy or rent, Wright said. The changes still need to go through a public process with approval from the borough planning commission and assembly. Some community members say the problem boils down to a borough government too busy with "lower Valley" issues in Palmer and Wasilla to pay attention to Talkeetna and other Susitna Valley unincorporated communities. A movement underway is considering the creation of a new Susitna Borough to bring the seat of power closer to home and prioritize local projects, including those to address the tourist crush downtown. Disgruntled locals point to years of challenges just bringing the wastewater treatment plant into compliance and accessing federal emergency funds to fix a flood-damaged dike protecting town. At this point, the state Local Boundary Commission has yet to receive an official "detachment" proposal for the Susitna Borough, commission staff Brent Williams said. He has offered advice to residents, however. 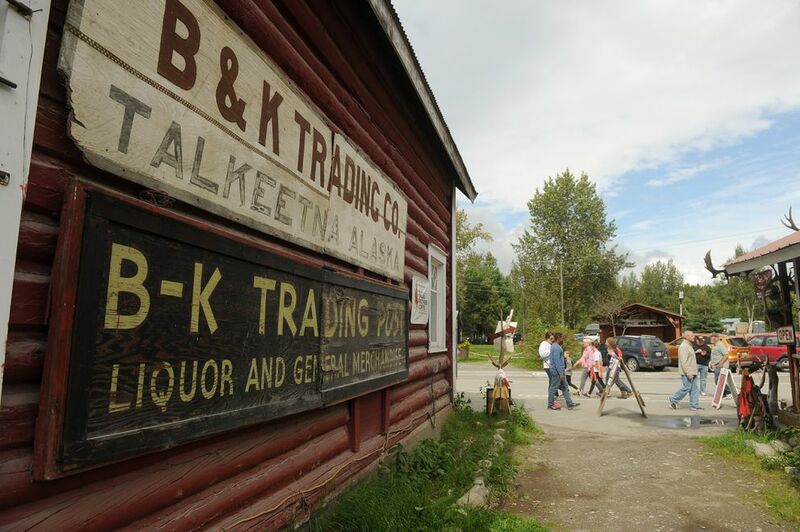 Talkeetna has tried twice before to get residents to buy into incorporation. Bids to make the community a city — a more contained proposal than a new borough — failed in 2002 and 1981, both times by a wide margin. Wright said the community's unincorporated status is part of the problem now. "Our problems are too big for people at the borough level to handle. (They) have a lot of other issues in a lot of other areas in the borough," she said. "If we were incorporated, that would be one solution."